It’s almost time: At long last, Halo 5: Guardians is almost here. And as its October 27 launch date barrels toward us like an oncoming Spartan Charge, we’ve prepped one of the biggest, baddest launch celebrations ever. At 6:00 p.m. EDT on Monday, October 26, we’ll be running our six-hour Halo 5: Live broadcast, culminating with Halo 5: Guardians’ North American launch at midnight. Just in time for the release of Halo 5: Guardians next week, we are adding a collection of Halo-themed images to the Xbox One gamerpic gallery including The Master Chief and Spartan Locke. These new images are starting to roll out over the coming days but may take some time to appear in all Xbox Live regions. To change your gamerpic, go to Settings, About Me, Customize profile, Change gamerpic (this may vary if you’re a Preview Program member with the New Xbox One Experience). Browse the gallery and you should see the new Halo 5 images. There are 69 original Spartan Company banners. I’ve downloaded each and offer them to you here. Feel free to download any/all of them if you wish. These are presented in thumbnail, so there is a lot more of the image to see! As always, click on them to make bigger. Free Halo 5 charging station! Free Halo 5 charging station, with both Halo 5 controllers! 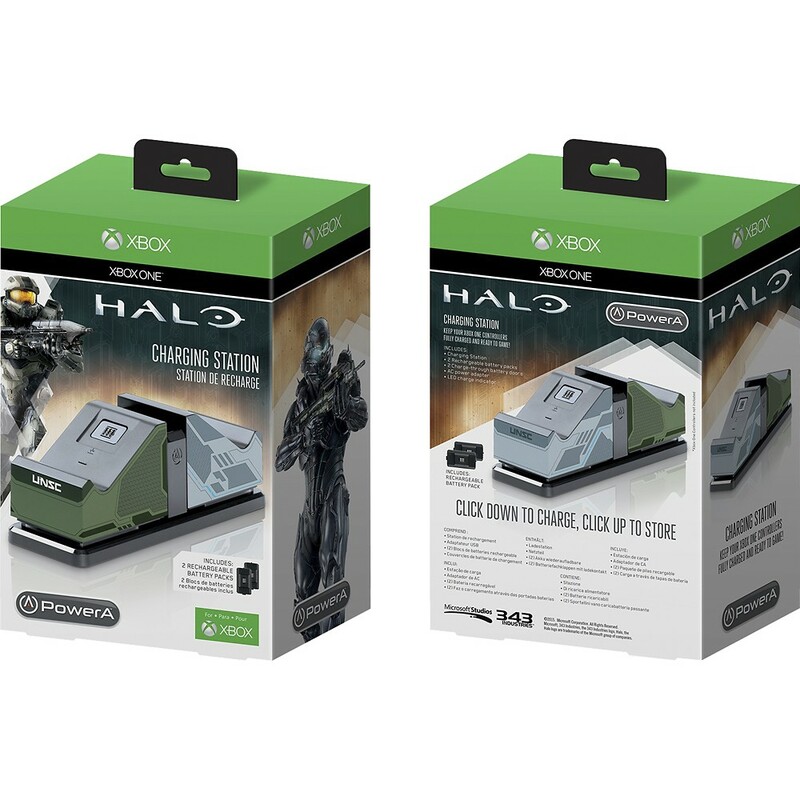 Want a free Halo 5 themed charging station for your controller(s)? Of course you do!!! If you’ve not yet had a chance to read this issue, and do not want to be spoiled on the events within, then do not read this particular article any further… You’ve been warned. Art of Halo 5 Guardians book, NEW Page PICS! With Halo 5 Guardians game release quickly approaching, there is much related merchandise to be had. The Art of Halo 5 Guardians, is one such piece. Amazon has released a few pages from within. 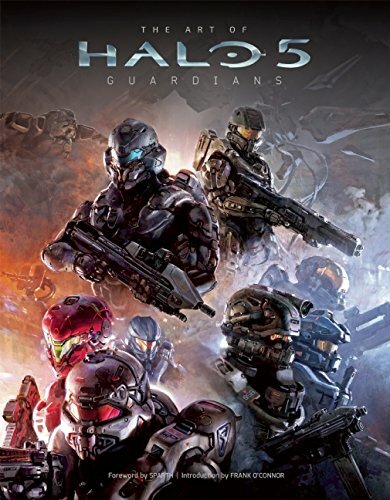 In Halo 5: Guardians, game developer 343 Industries continues to enthrall fans worldwide with the exploits of the legendary Spartan super soldier, the Master Chief, as well as new characters in the Halo® universe, including Agent Jameson Locke and others. This deluxe art book chronicles the creative and breathtaking art of the worlds, vehicles, and characters of Halo 5: Guardians, with exclusive details behind the creation of returning characters, such as the Arbiter and the Master Chief himself. Complete with commentary from 343 Industries, The Art of Halo 5: Guardians is the ultimate exploration of the intricate creature design and groundbreaking gameplay that define the Halo experience. Teasers of the Halo 5 reveal later today! Speculation with these is that we may get to see a full cinematic of Fireteam Osiris entering into the fray of Halo 5 Guardians! What do you think? Are you getting excited? Well, this year’s LAN has come and gone. Games were played, prizes awarded, eats were had and everyone walked away with a few goodies as well. This was the first batch of prizes that were sent this year. As you can see they come courtesy of Sprukits, which is a division of Bandai. I’ve reviewed these sets on the blog, so check them out. 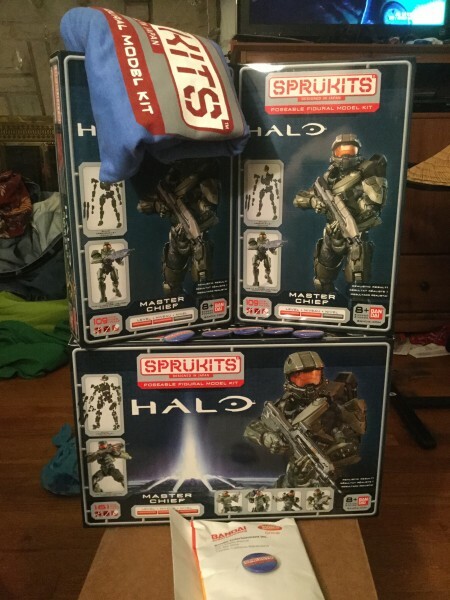 SpruKits Halo Level 2 Spartan Locke Toy Review! EXCLUSIVELY only on HFFL! A HUGE thanks to those folks! They were generous with their prizes and I want to thank them properly!!! 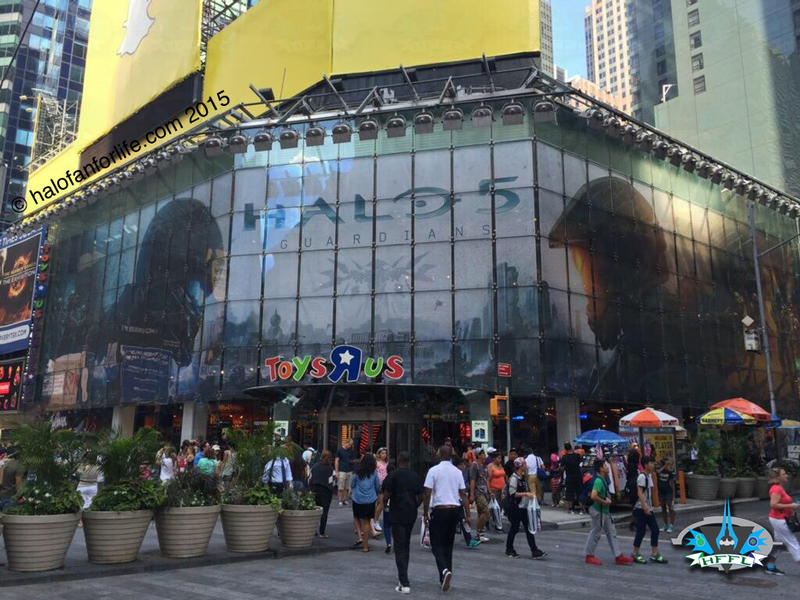 While I was preparing for the LAN, my bud Zach (@TheHaloArray) was in New York city and snapped this pic of Halo 5 Guardians prominently on display at Toys R Us in Times Square. Looking GREAT! The Steven Spielberg-produced Halo TV series is still alive at Showtime… Though it seems it still may not be seen for quite awhile. Reports first surfaced back in May 2014 that Showtime was the potential home for the series — which itself was first announced by Spielberg in 2013 and we then heard from Xbox shortly after that the series would debut fall 2015, alongside Halo 5 – though Showtime’s participation was never officially announced. Interview with 343 Creative Director Tim Longo about Halo 5: Guardians! This video comes to you via YouTube user, h0lmb0m. A bud of my posted this link up recently. It got me nostalgic for the game. If you’ve not seen this vid before, it’s of the E3 2007 demo for Halo Wars. The game released a little differently than what was shown. HUNTtheTRUTH: Fero to be revealed?? 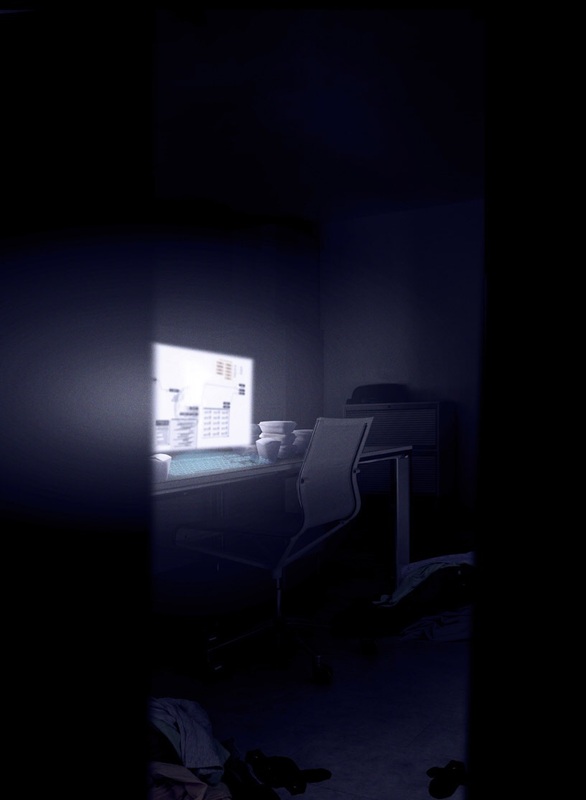 I jumped to my feet when the voice buzzed in, stinging my ears from the other room. She was finally here. HFFL: Could we finally find out who or what Fero is? Stay tuned! CHALLENGE YOUR ENEMIES. STRIKE FAST. BE A SPARTAN. 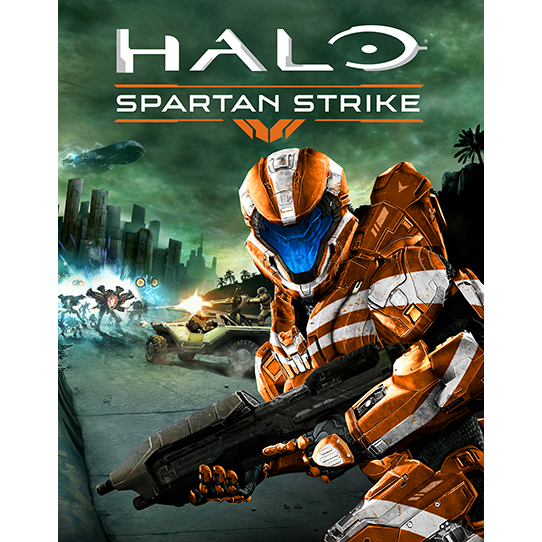 Halo: Spartan Strike, developed by 343 Industries in conjunction with Vanguard Games, is a mobile entry within the esteemed Halo universe. Delve into 30 challenging missions through cities and jungles using a devastating arsenal of weapons, abilities and vehicles including the iconic Warthog against the Covenant and Promethean enemies. Halo 5: Guardians has a part for Cortana to play, despite the events of Halo 4, Halo series actor Mike Colter told IGN. 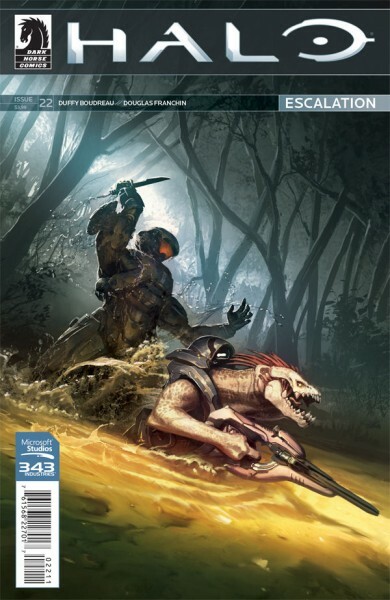 Spoiler alert: This article assumes readers have finished Halo 4‘s campaign. If you haven’t, this will spoil a major event for you. 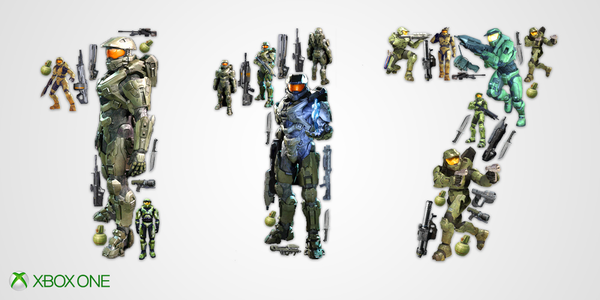 From HFFL to YOU, a very Happy 117 Day!